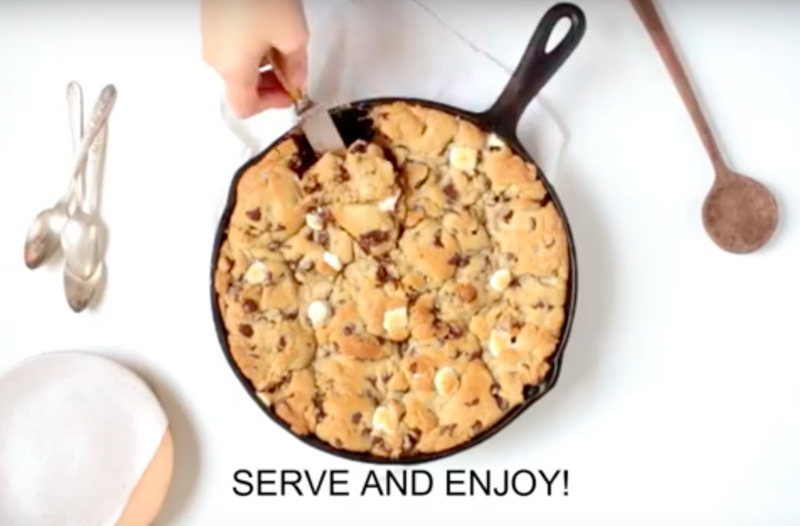 This May Look Like A Giant Skillet Cookie, But There Is A Surprise Inside That You Don’t Want To Miss! This could be a crazy-good treat to make for Christmas Day. I am pretty sure that after the presents have been opened and everyone is sprawled about, playing with their new toys and trying on their new clothes, this will come out of the oven and blow everyone away. Prep it the night before and pop it in the oven when the time is right. What do you make for a special treat on Christmas Day?